(Bloomberg) -- In Kraftwerk’s famous ode to the autobahn, drivers savored the freedom of limit-free motorways. That could all end, under proposals from a government panel. A cap of 130 kilometers per hour (80 mph) is being recommended by unions and environmentalists, according to a leaked report, putting an end to Germany’s famous open-road policy. The proposals are for new laws to cut emissions in all sectors of the economy, Bild Zeitung and Frankfurter Allgemeine Zeitung reported on Saturday. Environmentalists backed by the Green Party have been at loggerheads with the German Association of the Automotive Industry lobby for years over the open road policy. Full-electric and hybrid passenger cars accounted for only 2 percent of all German road registrations in 2018, while sales of special utility vehicles reported the fastest growth for conventional vehicles. A spokesman for the panel, known as the National Platform for the Future of Mobility, didn’t respond to telephoned queries on Saturday. Chancellor Angela Merkel’s government has little choice but to tackle CO2 output from automobiles. As a signatory of the Paris Climate accord, Germany must slash emissions from energy, industry, heating and cooling and farming by 2030. 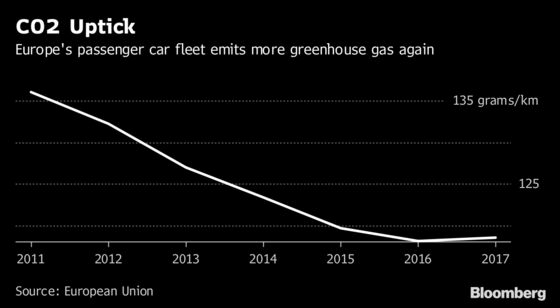 CO2 emitted by vehicles has increased since 1990. The panel also recommended a staged increase of gasoline and diesel taxes to 52 euro cents (59 U.S. cents) per liter by 2030, while electric cars and hybrids should account for half of new registrations. Merkel’s not compelled to adopt the proposals, which were drawn up before “yellow vest” riots over fuel taxes in France spooked German plans to replicate the move. The government panel wants to base taxes on emissions rather than motor capacity, the Frankfurter Allgemeine Zeitung said in a separate report which cited the document, meaning that car owners would face no net increase in tax.